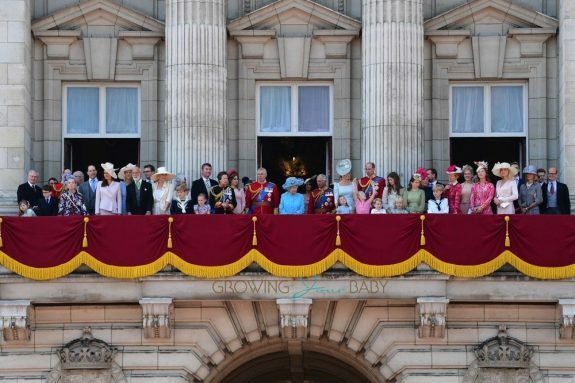 The Royal Family was photographed on the balcony at Buckingham Palace for the Trooping The Colour in London on Saturday June 9th, 2018. The event marks the sovereign’s official birthday. Queen Elizabeth’s actual birthday is on April 21st, she turned 92 this year. Kate and Camilla rode together while her husband William attended The Queen’s Birthday parade on horseback alongside his father, The Prince of Wales. 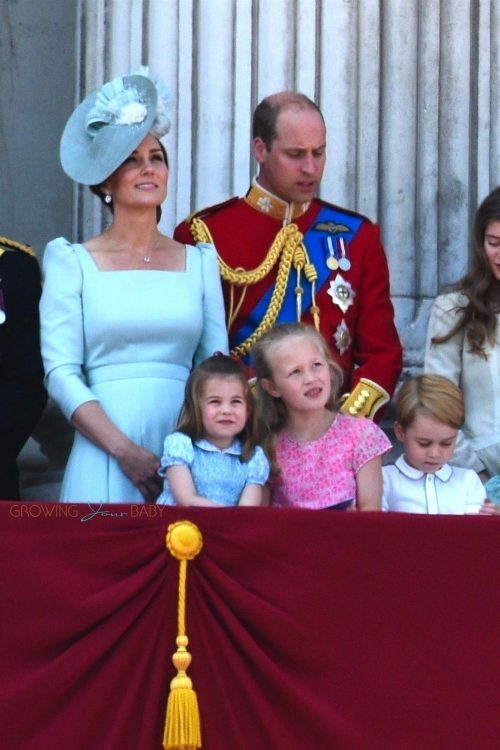 Princess Charlotte of Cambridge, Savannah Phillips and Prince George of Cambridge viewed the performance from the front of the balcony. 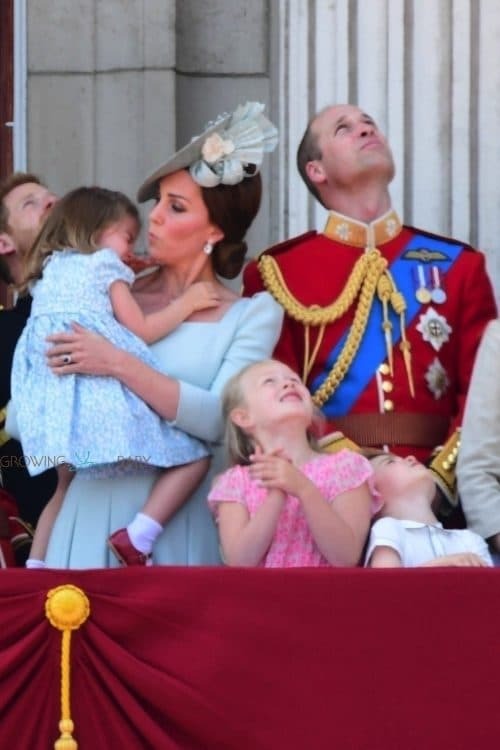 At one point Princess Charlotte hit her head on the balcony and started to cry. 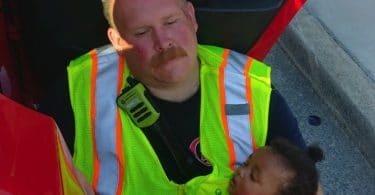 Fast on her feet, Kate scooped her up and cradled her in her arms. 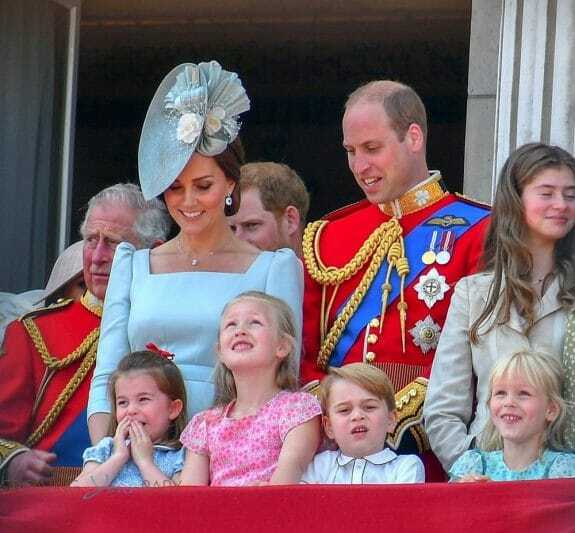 The Duchess of Cambridge was beautiful in a blue dress by Alexander McQueen and a hat by Juliette Botterill. Not in attendance at the event was William and Kate’s son Louis. 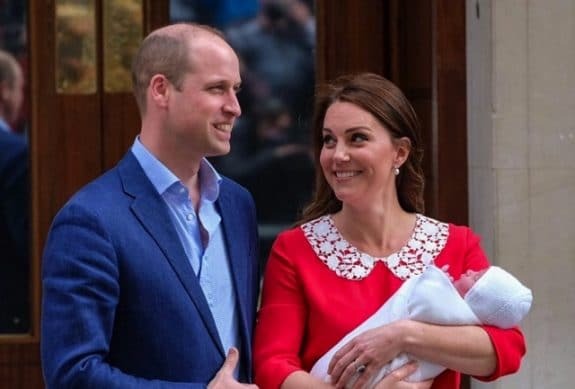 Born on April 23rd, we won’t likely see him again until his christening which should be within the next month.